Hi it is great to see and read of others who adore their little zhu's as much as we do. He is our first dog and is adoreable. We got him at 8 weeks, he is now a very boisterous 7 month old. I wonder if any members are from the gloucestershire area? Hi welcome. I myself am new to the forum. 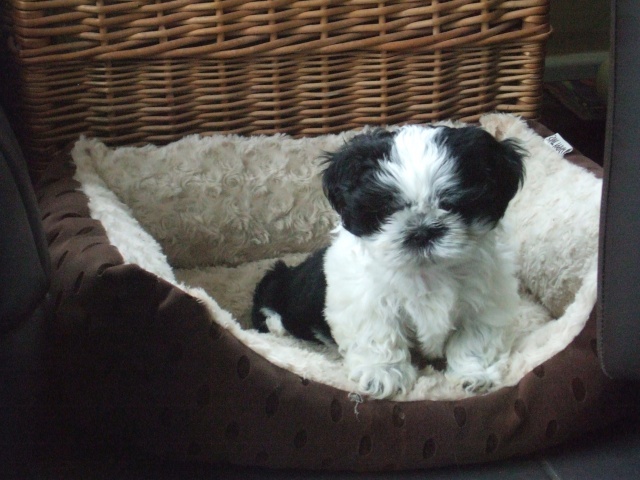 I have learned a lot as they have many years of experiance with shih tzus. and now they are passing there knowledge onto us . Hi Andrea and welcome to the forum, it's great to have you here. 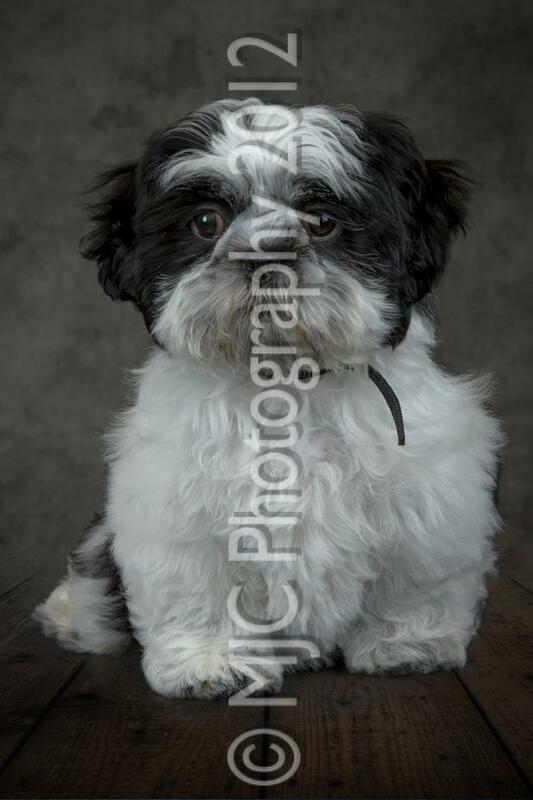 We are a very friendly bunch of shih tzu addicts who all love our fur babies to bits. If you have any questions just ask away and someone will soon be along to give you a hand. 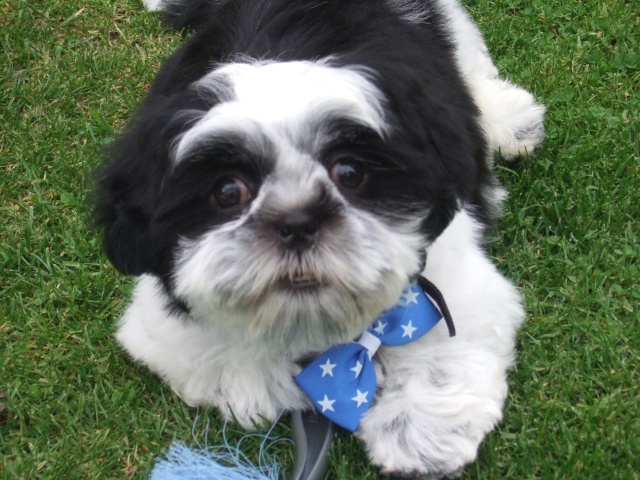 A seven month old shih tzu is certainly a lot of fun, and I bet he gets up to all sorts of mischief. We love to see photos so feel free to post some for us to see. Hi thanks for the welcoming comments, my avatar is my little boy, taken a couple of months ago, he was just about to bark at me and the camera snapped and it looks like he is similing! which he does most days. he is a little gem and I love him so very much. He can be a minx, we do have the odd row as to who is in charge (we usually renegotiate and share!!!! ), he is very sociable. 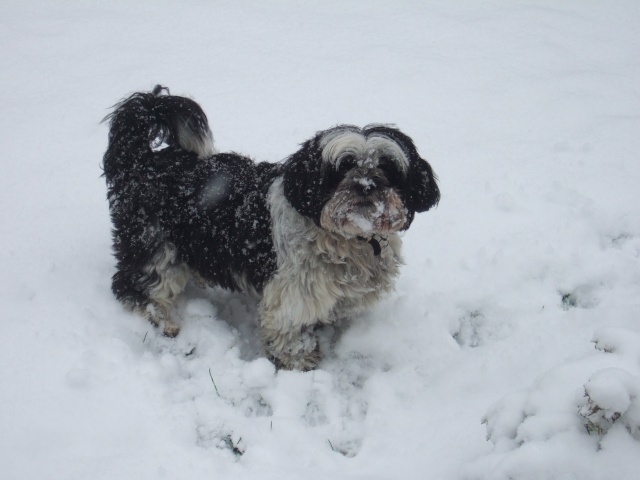 I wondered if anyone was from Gloucestershire and would be interested in meeting for a tzu walk. 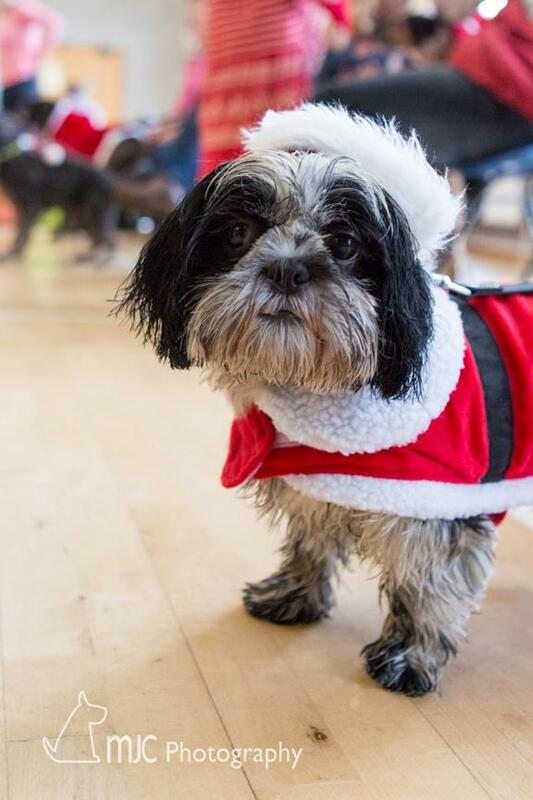 My little guy loves playing with other dogs, we only know one other tzu. he does have a foul habbit, one no doubt you will all know well....eating his own poo (and others on the odd occasion). He has a good leave it indoors for other things, and a good "off", but when it comes to his poo its he who dares wins! We watch him closely when out and remove it straight away but he can be a fast little tiger when he wants to so we are not always on time. I read that adding pineapple to food can work, he refuses to eat his food with pineapple in. I have also read about adding chilli to the poop when he has done it but I refuse to do this as its cruel and would inflict pain. Any suggestions most welcome. My Pup also eats poo she also eats the cats too. A poo eater, how nice for you, NOT! There are quite a few of us on here who have had the pleasure of a poo eater. It isn't a pleasant experience at all, but most of them grow out of it. I am not sure that any of the remedies really work, and I think the best one is vigilance. Obviously it is a lot harder when you are out for a walk. Have a look at this thread and you will realise you are not alone. My shih tzu does the dreaded poo eating too. You have to be quick on the draw with the poo bags when you are out walking. Took both dogs out on Saturday and she was a little devil with the sheep stuff! Hello, welcome to the forum! I love that photo of your pup. What's his name? Hi thanks for the reassurance, the little monkey is called Archie. He has entered adolescence, which in short means he has lost some (at times all) of his hearing, e.g. recall etc, its like I am speaking in manderin! He sometimes decides his crate is not worthy of him to sleep in and he does his "demand" bark which often ends in him sleeping on my pillow (which I secretely like), we are however, trying to train him to be a good boy. He has his moments but overall is an absolute delight. Hi there and welcome - we are not too far away as we are in the Rhondda South East Wales. AJ wrote: Hi thanks for the reassurance, the little monkey is called Archie. He has entered adolescence, which in short means he has lost some (at times all) of his hearing, e.g. recall etc, its like I am speaking in manderin! He sometimes decides his crate is not worthy of him to sleep in and he does his "demand" bark which often ends in him sleeping on my pillow (which I secretely like), we are however, trying to train him to be a good boy. He has his moments but overall is an absolute delight. It sounds to me like Archie is doing a brilliant job of training you as well! First time in the snow....what the....hey its cold here! Love these photos really cute Lovin the bow tie. Archie is so cute, and looks like he is having great fun. I love the snow pics.